On November 21, 2015, over 400 industrialists, SME entrepreneurs, investors and corporate leaders converged in Mumbai for a conference on “Conscious Leadership”. This conference was organized by the Artha Forum, (a community dedicated to providing healthy work-life balance and holistic world view to entrepreneurs, business and thought leaders) in partnership with the BSE, TiE Mumbai & the Indo American Chamber of Commerce. 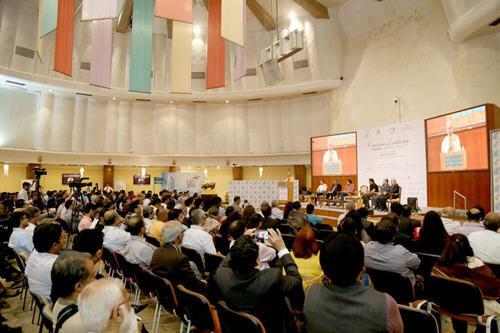 Held at the International Convention Centre of the iconic Bombay Stock Exchange, the dais was shared by eminent personalities from corporate India, bureaucrats, regulators & spiritual leaders. Mr. Ronnie Screwvala, Founder – UTV & Swades Foundation, Mr. N. N. Kumar, Chief Commissioner of Income Tax, Mr. Ashishkumar Chauhan, MD & CEO – BSE, Mr. Sunil Shaghai, MD & Head of Banking – HSBC India, Dr. N. D. Desai, Chairman – Apar Group & Mr. Hrishikesh Mafatlal, Chairman – Arvind Mafatlal Group, spoke at this event. The event highlight was the key note speech by Radhanath Swami, Spiritual Leader, International Motivational Speaker & Author. Mr. Ashishkumar Chauhan spoke of how businesses need to be ethically and legally right, not just ‘compliant legally’ alone. Several guests shared their joyful responses of his analysis of the internal push pull dynamics of a typical player in the market riding the wave of an ocean of opportunities. Mr. Chauhan exclaimed that of the over 200 conferences that are conducted in this conventional hall, this one was the one with a difference. Sharing his experiences in business, Mr. Ronnie Screwvala emphasized on concept of giving back to society and how he introduced this culture in early days of his organisation. Ronnie explained how he moved from making movies to adopting villages and making a difference is in the lives of millions. Radhanath Swami said that it is imperative in business to earn with integrity and spend with compassion. 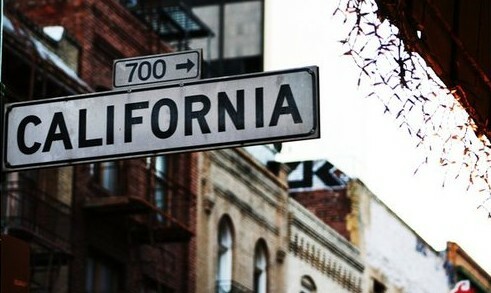 He narrated as a child raised in United States , he saw so much wealth and luxury. “But all these technologies, power and road systems, seemed so shallow to so many people in my generation. Because greed can never satisfy the heart,” he added. He further explained poverty is simply an extension of inner heart of human poverty. “When there is an poverty of compassion everything else manifest and when there is wealth within the hearts our leaders, there is prosperity emotionally, physically and spiritually,” he said. Radhanath Swami concluded that if we understand that our wealth, our beauty, our influence belongs to the Lord and we are just care takers, we will naturally use it in a principle of seva. “It's the leadership the world needs,” he said. The event was attended by high profile industrialists, realtors and business leaders from JP Morgan, SCB, TATA, PwC, EY, Aditya Birla, Reliance, etc. The audience included members of Parliament, doctors, lawyers, financial professionals and well established entrepreneurs across varied industries. The event, which began with a musical performance, concluded with a networking dinner, wherein the participants couldn’t stop sharing their appreciation on the insight they take-away, over this Saturday evening conference.